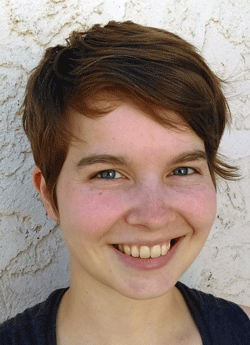 Lexi Smith worked in Atmospheric Lidar Research Group from May 2015 through May 2017. She completed her BS degree in Environmental Science with an emphasis in Applied Ecology and is now a graduate student at the Yale School of Forestry and Environmental Studies. My second project for the summer was to work on convective boundary layer top and depth identification. This involves making images from lidar BSCAN files, putting those images together into time-lapses, and using programming to quantitatively identify the tops of convective boundary layers. 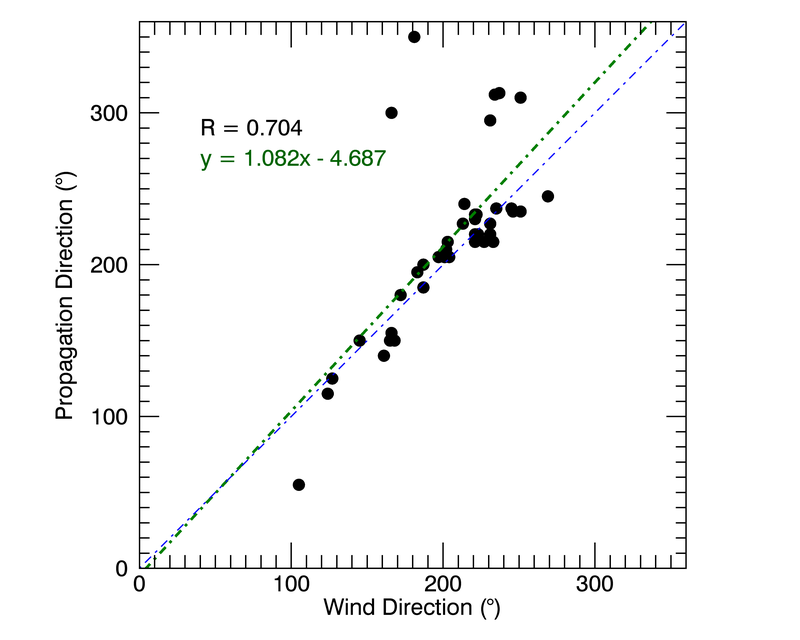 My main project for this winter was to assist with research on canopy waves. 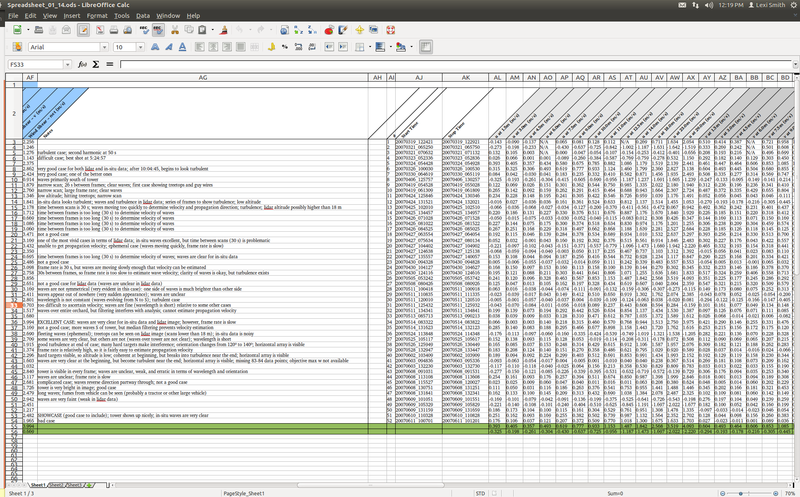 This included making a spreadsheet in LibreOffice Calc with canopy wave data, which I helped to retrieve and analyze. Part of the analysis was making graphs of different variables to find relationships and patterns. 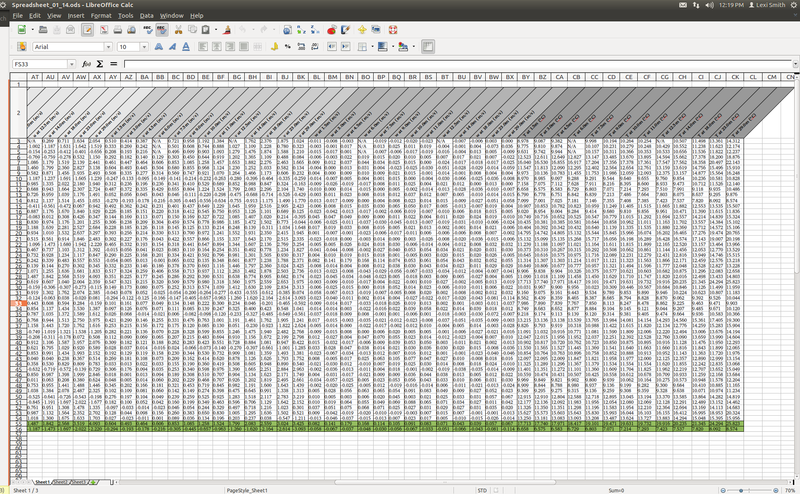 I also created a table in LaTeX for the research paper currently in progress. 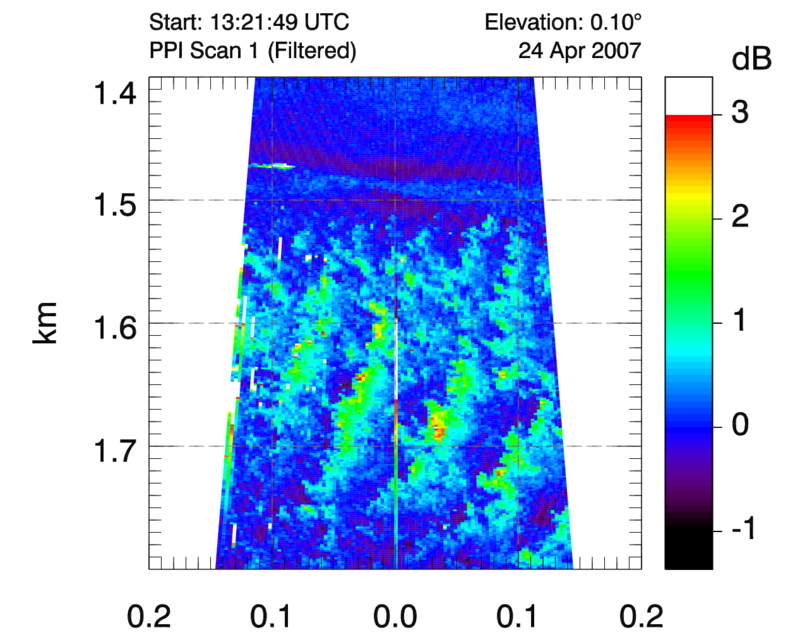 Finally, I created images of canopy waves and updated data on the Lidar Group website. My main project for this summer is a continuation of my winter project. My work so far has been to help Dr. Mayor prepare a conference poster, conference presentation, and paper (in progress) on our canopy wave research. 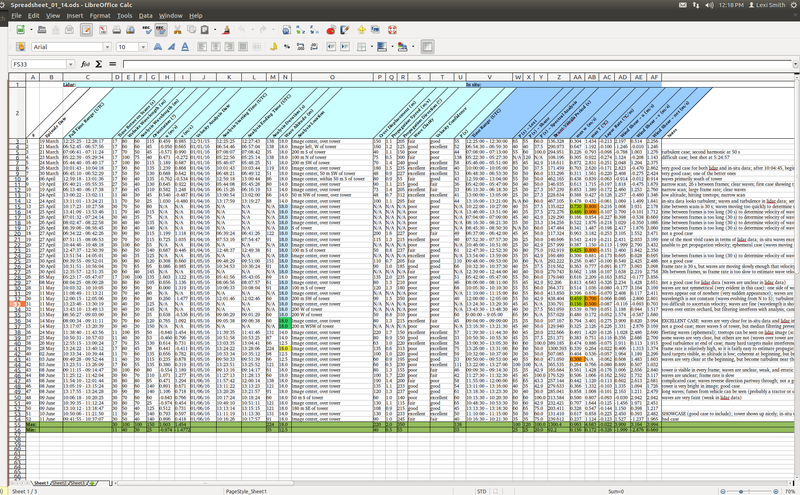 I have assisted with further analysis of spreadsheet data in LibreOffice Calc, as well as creation of programming, plots, and lidar images in IDL. I also used ImageMagick to create an MP4 of canopy waves with lidar images.